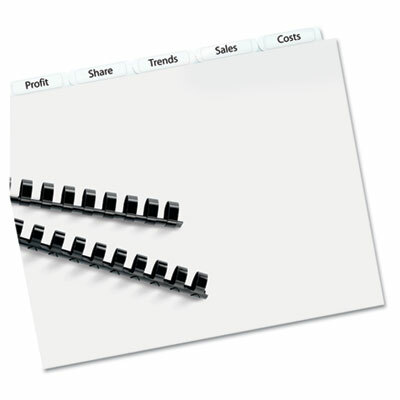 Translucent plastic dividers provide a modern design to document presentation. Clear tab labels virtually disappear when applied to the divider tabs. Translucent plastic dividers provide a modern design to document presentation. Clear tab labels virtually disappear when applied to the divider tabs.